What does this course cover? What will I learn? How much time does the course take? What is the course structure? Is this course 100% self paced or will I need to be online at certain times? How can I apply for financial assistance? Can I overlap my enrollment in this course with the Mindful Educator Essentials [MEE]? Can I receive credits for this course? 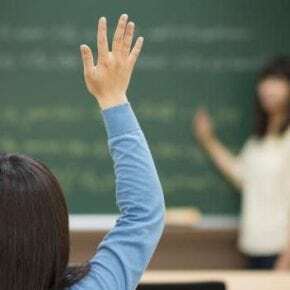 What can you tell me about curriculum implementation? Can I teach adults after completing this course? After completing the MEE course, can I say I am a certified Mindful Schools teacher? How much time does Mindful Educator Essentials take? What is the online course structure? Is Mindful Educator Essentials 100% self-paced or will I need to be online at certain times? Can I overlap my enrollment in this course with Mindfulness Fundamentals [MF]? In this six-week online class, you will learn the basics of mindfulness meditation. Mindfulness Fundamentals satisfies the prerequisite for our Mindful Educator Essentials. Because children absorb so much from the behavior of adults, it is essential to learn mindfulness yourself before teaching it to youth. The MF course generally takes between 2-4 hours per week. You do not need to be on your computer at a specific time for this course. New material is made available each week so you can self pace throughout the week but your weekly assignments are due the night before new material is released. Our Mindfulness Fundamentals course is $125. Mindfulness is such a valuable tool that we’re committed to making our courses accessible to everyone working in school communities. We offer financial assistance to those who need it. Learn more here. Registration is open until the first day of the class. We recommend, however, that you register prior to the start of the class so you have time to complete pre-course activities. We do not allow MF-MEE course overlap if you are new to mindfulness so that you can establish your personal practice before learning how to teach the concepts to others. If you have previous mindfulness training and a personal practice, you may overlap the start of a MEE course with week 5 or week 6 of your MF course. For our MF course, credits are available for Educators and eligible Mental Health Professionals. Please contact our outside provider, Courses 4 Teachers, who partners with the University of Pacific to provide up to 3 graduate level credits for this course. For questions or to apply for credit, please visit our provider’s website. 1) A psychologist licensed in any of the 50 states in the United States. 2) An MFT, LPCC, LEP, or LCSW licensed in the state of California by the California Board of Behavioral Sciences. If you are licensed in a state other than California, you must receive approval from your governing board that they accept CEUs from an organization that’s credentialed via the California BBS or the American Psychological Association. Center for Adolescent Studies Inc., is approved by the American Psychological Association to sponsor continuing education for psychologists. The Center for Adolescent Studies Inc. maintains responsibility for this program and its content. The Center for Adolescent Studies is approved by the Board of Behavioral Sciences (PCE 4988) to offer continuing education (name currently changing from Engaging The Moment, LLC to Center for Adolescent Studies, Inc.) This course meets the qualifications for continuing education credit for MFTs, LPCCs, LEPs, and/or LCSWs as required by the California Board of Behavioral Sciences. For more information, participants may go to: www.centerforadolescentstudies.com/ce. The Mindful Educator Essentials is a “starter kit” for teaching mindfulness to children and adolescents. We introduce you to the basics of mindfulness in education, the research and neuroscience, as well as the Mindful Schools K-12 Curriculum. After completing this training, you are authorized to teach mindfulness to children and adolescents using the Mindful Schools Curriculum. If you find you’d like to go into further depth with your training along with the added support of our Program Team’s weekly mentorship, and potentially become a Certified Mindful Schools Instructor, we recommend you consider pursuing our Year-Long Certification. With over 200 instructional hours, 2 week-long retreats and a chance to network with other like-minded mindfulness educators, you can gain even more mastery and practice in your mindful teaching. The curriculum can be used in the classroom for 8-weeks up to year round. It can be implemented by classroom teachers or by an outside trainer working with youth. If a classroom teacher is implementing the curriculum, it can be used everyday, either once for 5-10 minutes, or several short times for 2-3 minutes throughout the day. Each session may be 2-20 minutes depending on style of implementation. They can be part of the regular school day or integrated into after school, sports and other areas. The Mindful Educator Essentials is not a train-the-trainer program, meaning you are not authorized to train other adults in how to teach mindfulness to children and adolescents. When speaking to parents, teachers, or administrators about your training in mindfulness, we ask that you adhere to the language below. Videos: Watch 2-4 weekly recorded talks and classroom demos, which range between 10 – 40 minutes long. There are live webinar sessions with the trainers you can attend. These are hosted on Adobe via a web browser link. You will not need to download any software to view. Assignments: Respond to weekly assignments in small groups on a forum, which may take you 30 minutes to an hour. Read classmate and Guiding Teacher responses; time will vary. Reading: Access to written materials, such as the Mindful Schools Curriculum; time will vary. You do not need to be on your computer at a specific time for Mindful Educator Essentials. New material is made available each week so you can self pace throughout the week but your weekly assignments are due the night before new material is released. The course does include live webinars (generally scheduled at 5pm PST), but If you cannot make it live, the session is recorded and you can watch it later in the week. 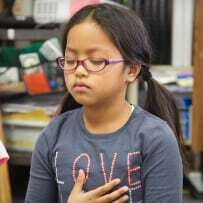 One of the driving forces of the Mindful Schools Community is the idea that when educators observe and work on their own skills and conditioning, they are more successful teaching students attentional skills and emotional balance. The exploration of (formal and informal) personal mindfulness practice is central for teaching and modeling mindfulness techniques to youth. Mindfulness of body sensation, breath and sound. Trainings, modalities and activities that do not meet the prerequisite include Yoga, Reiki, Transcendental Meditation (or any other meditation practice solely focused on mantra recitation), reading mindfulness books, and the use of meditation apps (such as Headspace). 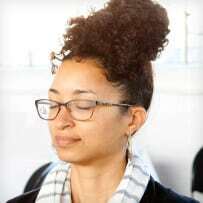 Even if you have a long practice history, Mindfulness Fundamentals or another secular mindfulness course is highly recommended as part of your overall training program. It will ensure that you are “synced up” with the terms, language and methods used in our trainings and in other secular mindfulness trainings. Our Mindful Educator Essentials course is $550. For our MEE course, credits are available for Educators and eligible Mental Health Professionals. For schools and organizations that train 5 or more staff, we offer group rates for all of our online courses: Mindfulness Fundamentals, Mindful Educator Essentials, Mindful Communication, and Difficult Emotions. Learn more and contact us about group rates on our Groups Page. Contact us for more information about our courses or organization at support@mindfulschools.org.